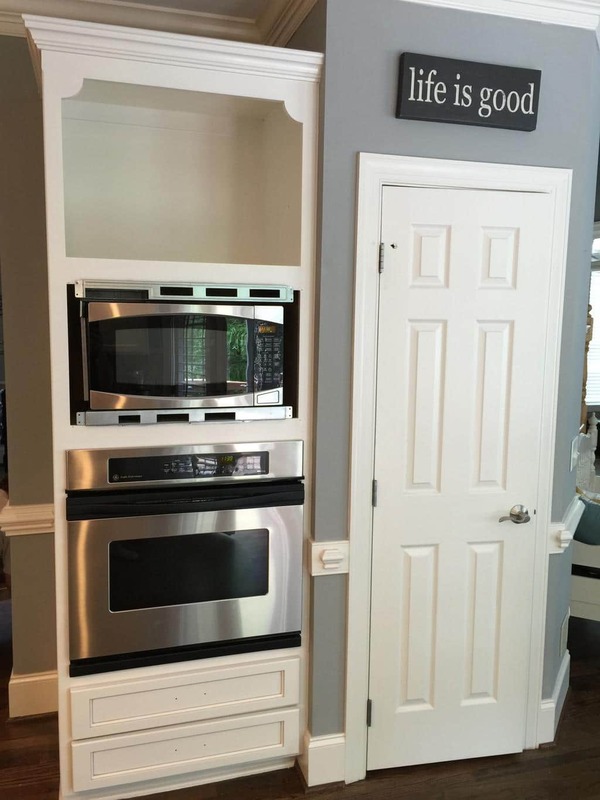 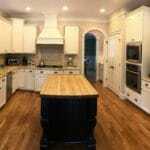 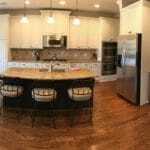 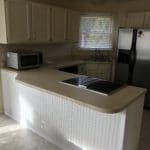 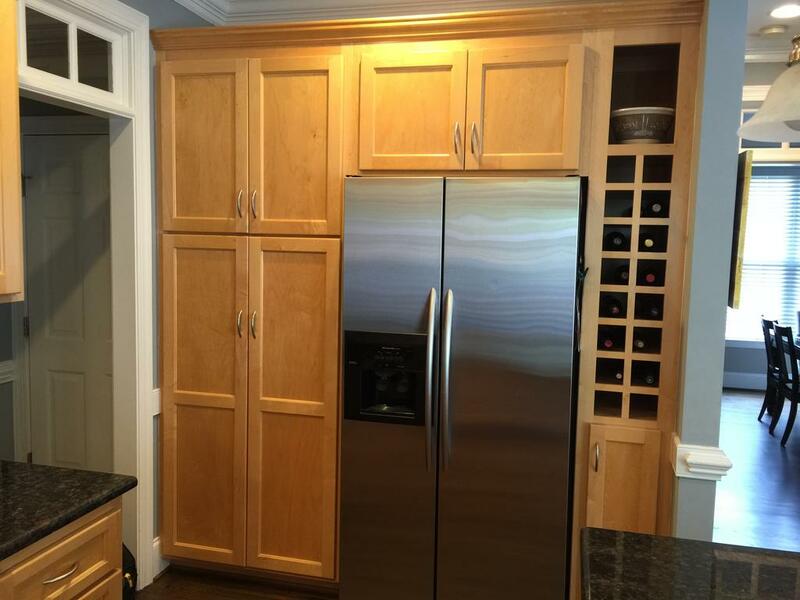 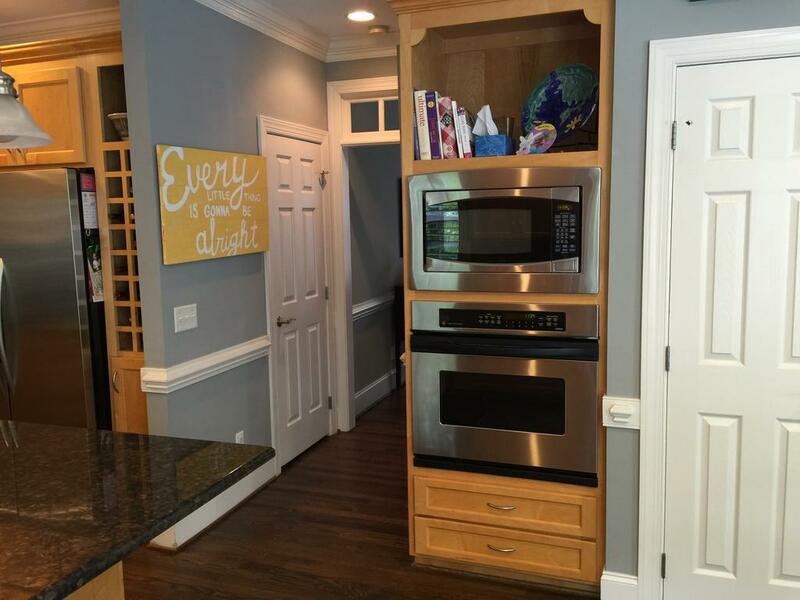 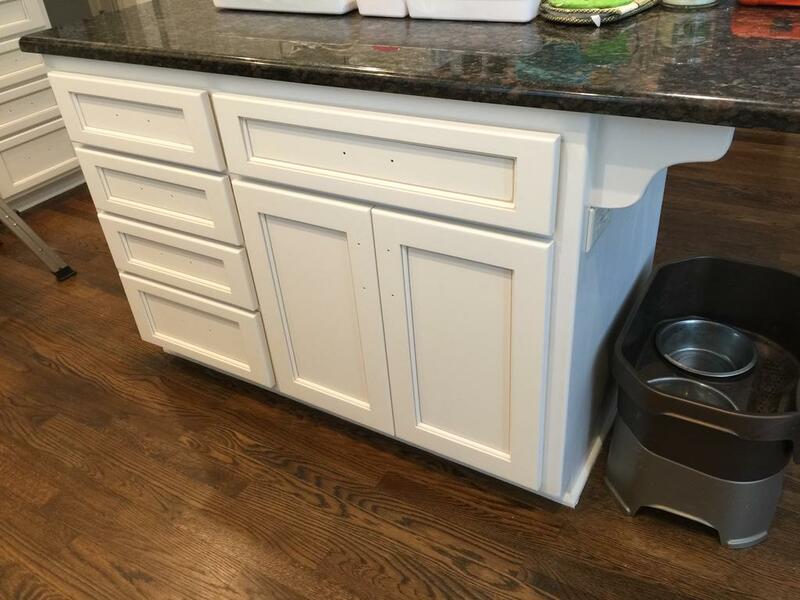 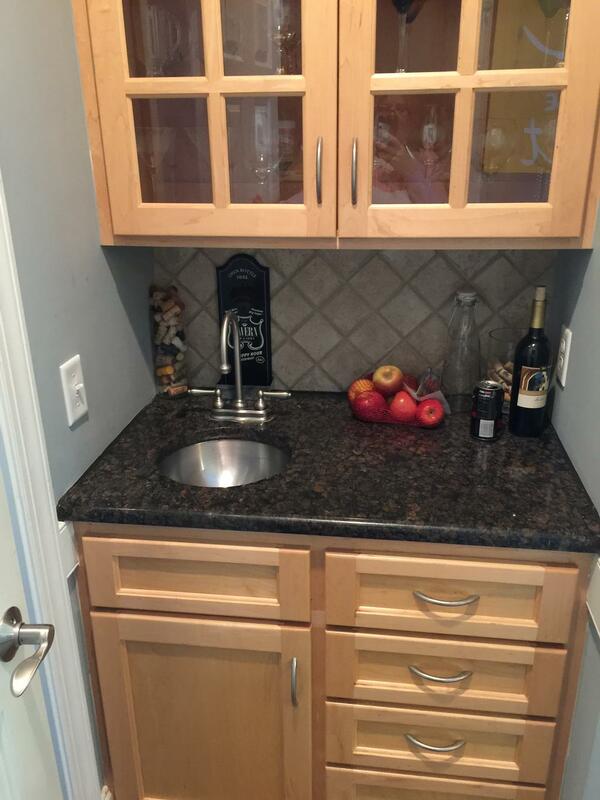 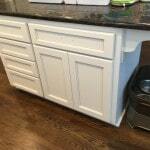 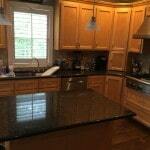 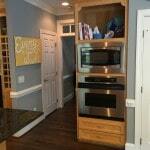 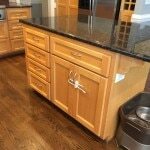 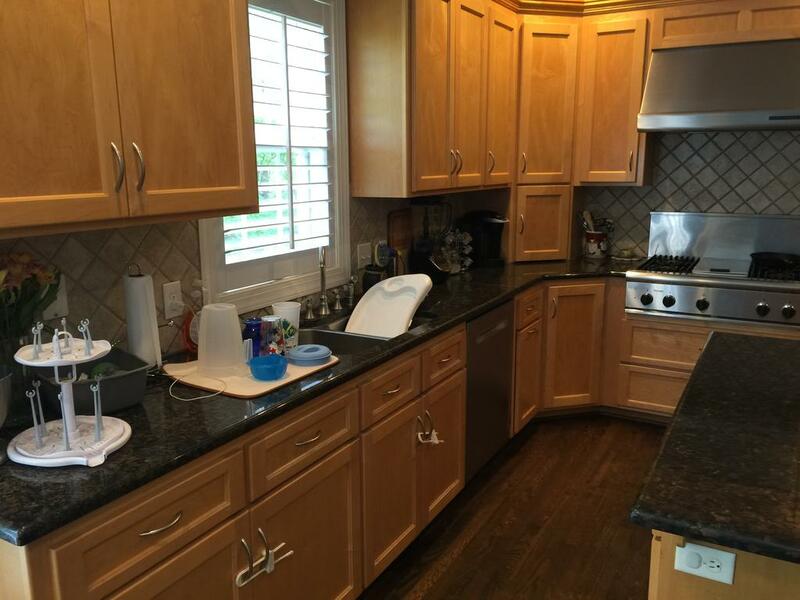 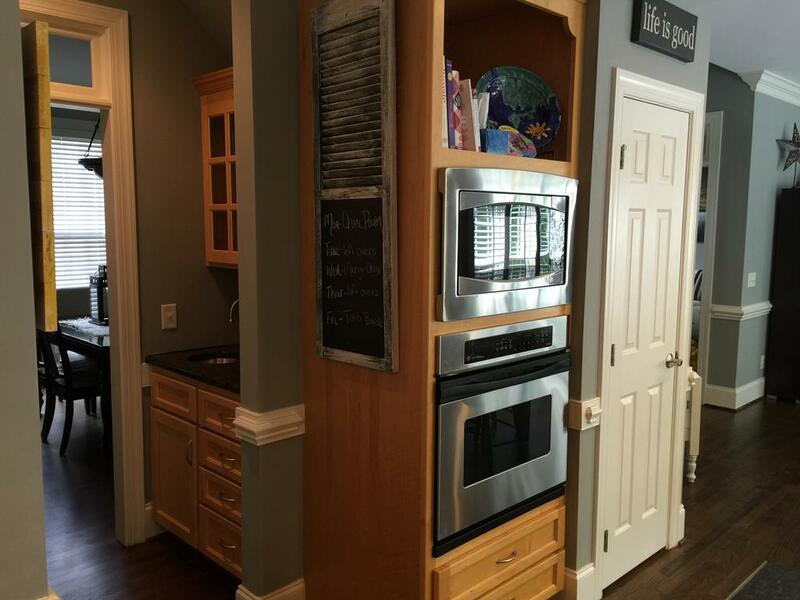 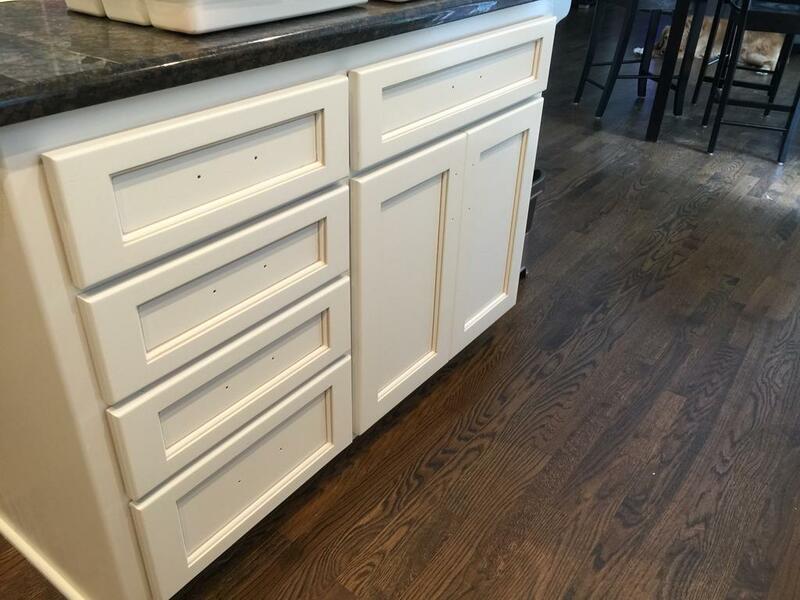 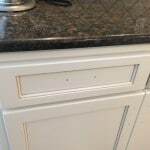 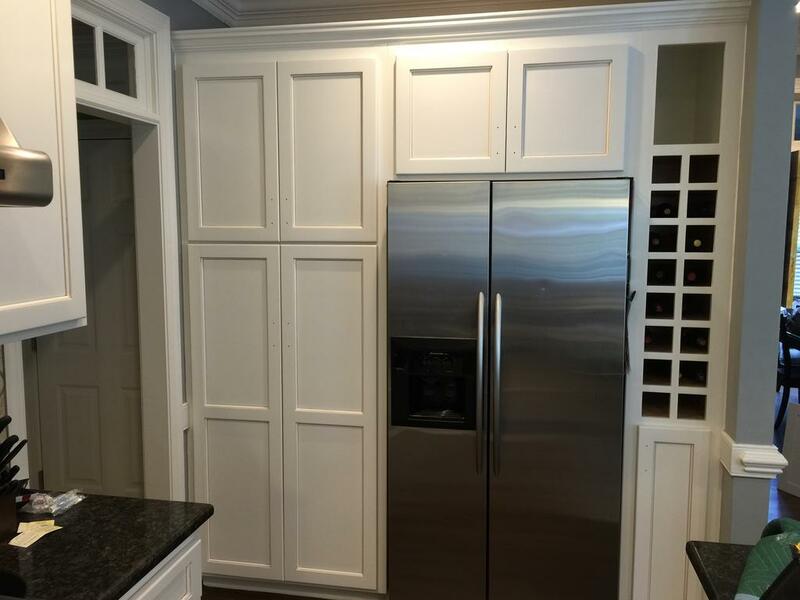 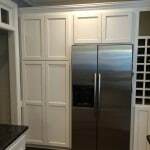 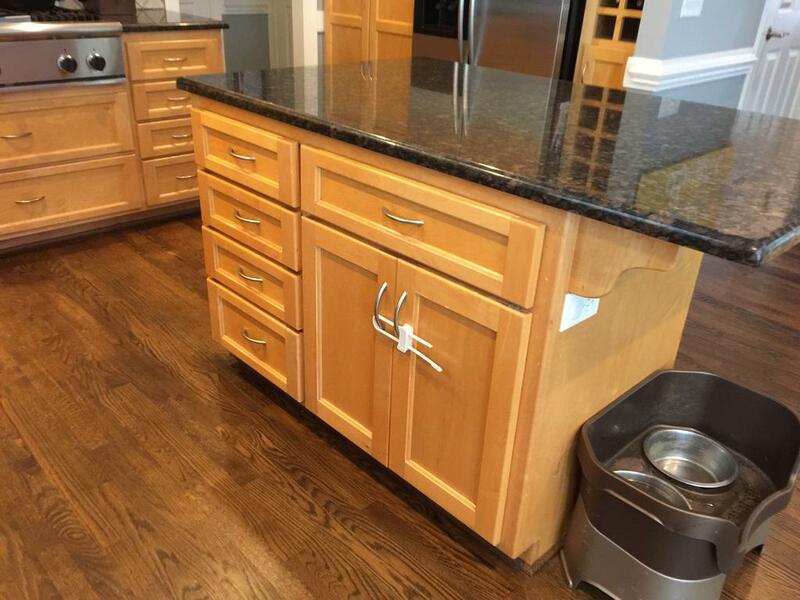 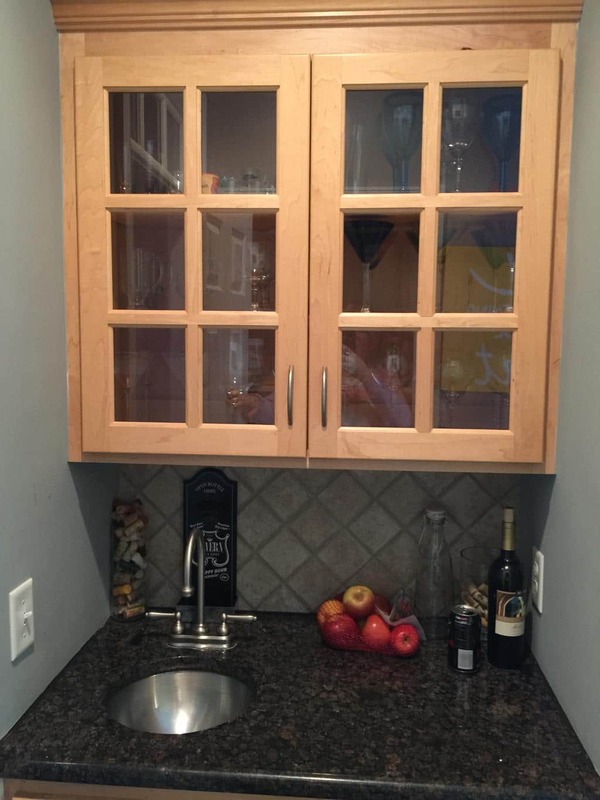 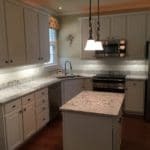 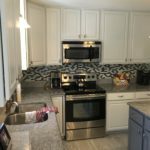 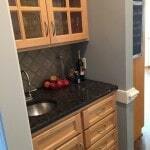 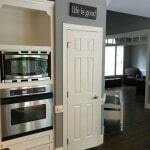 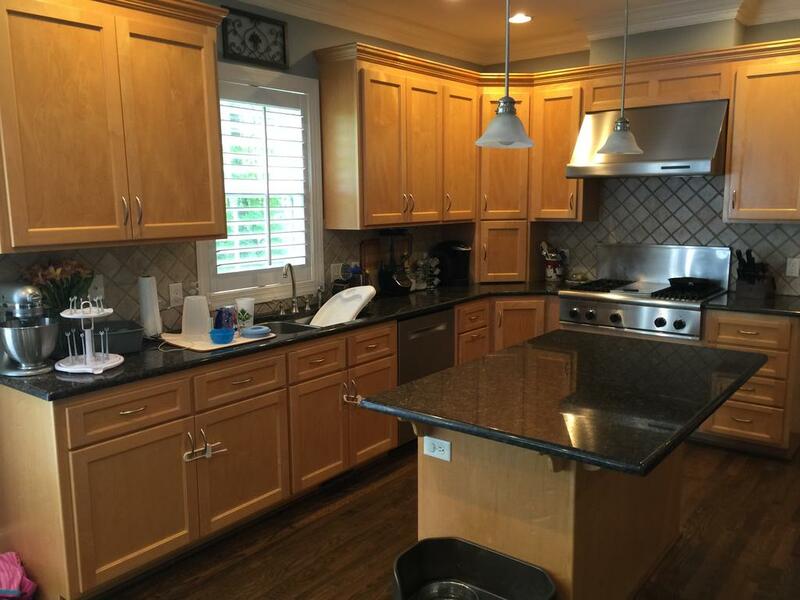 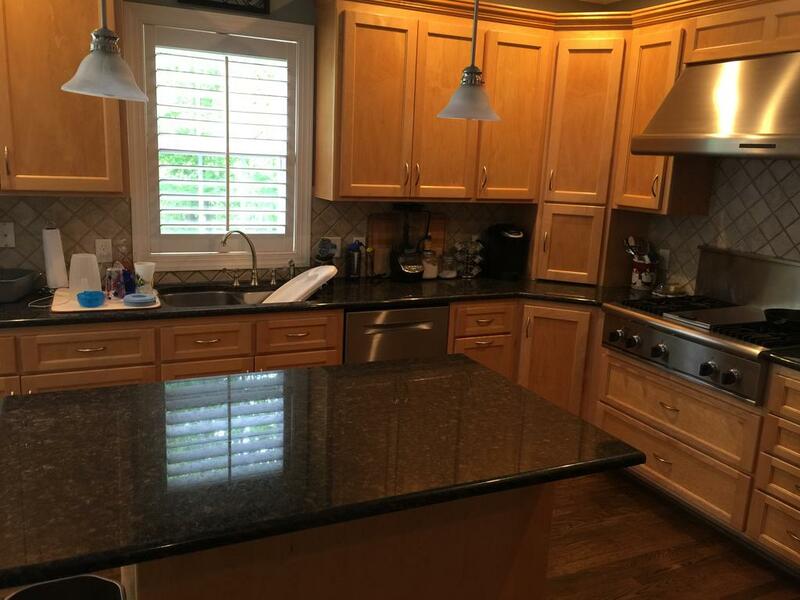 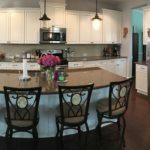 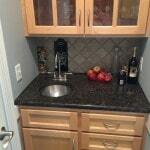 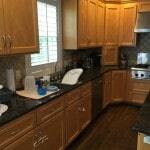 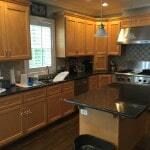 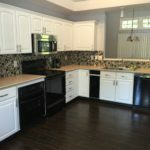 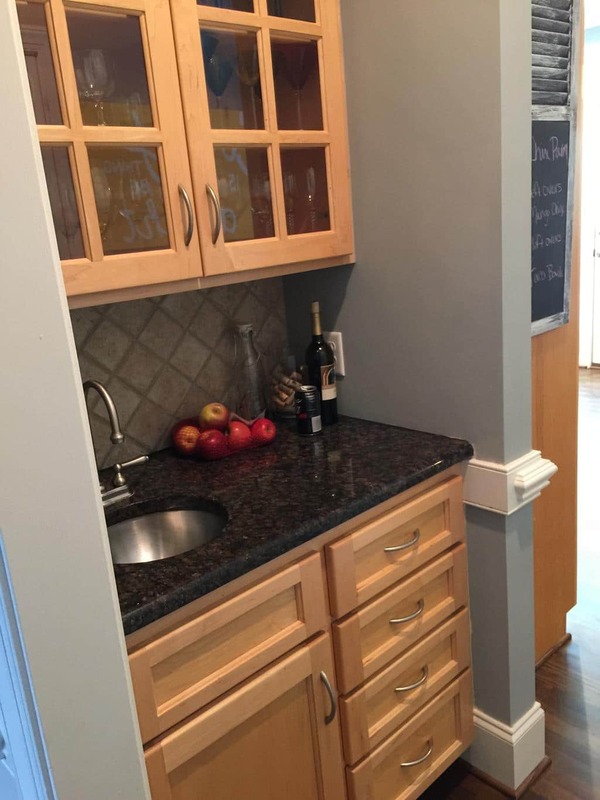 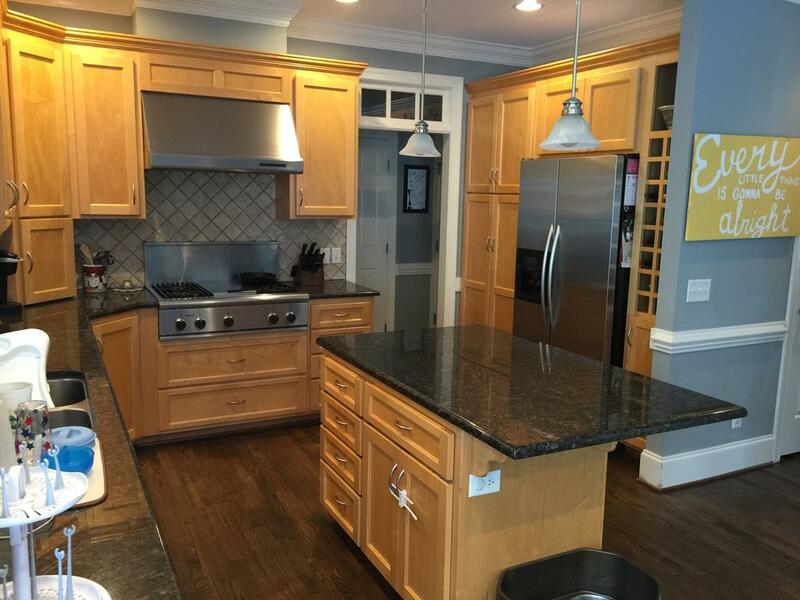 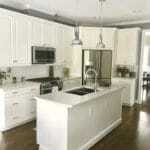 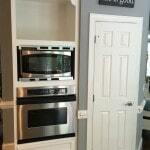 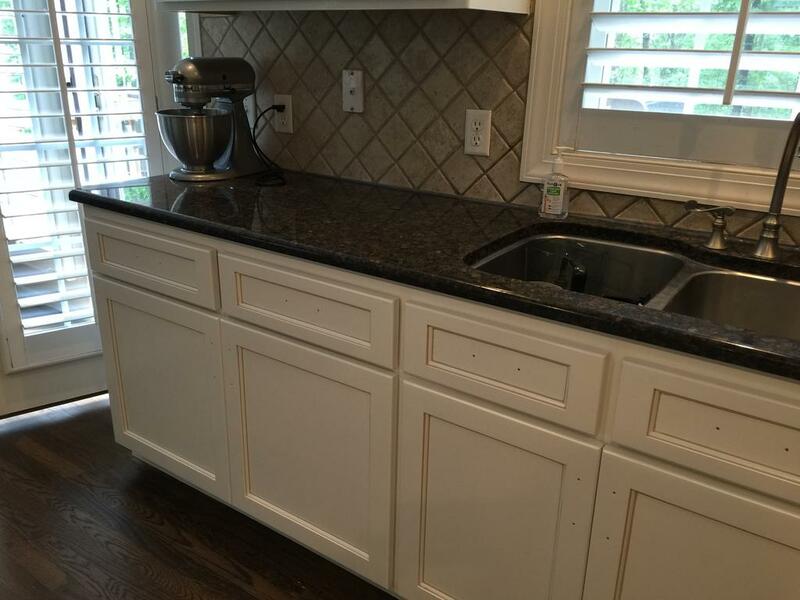 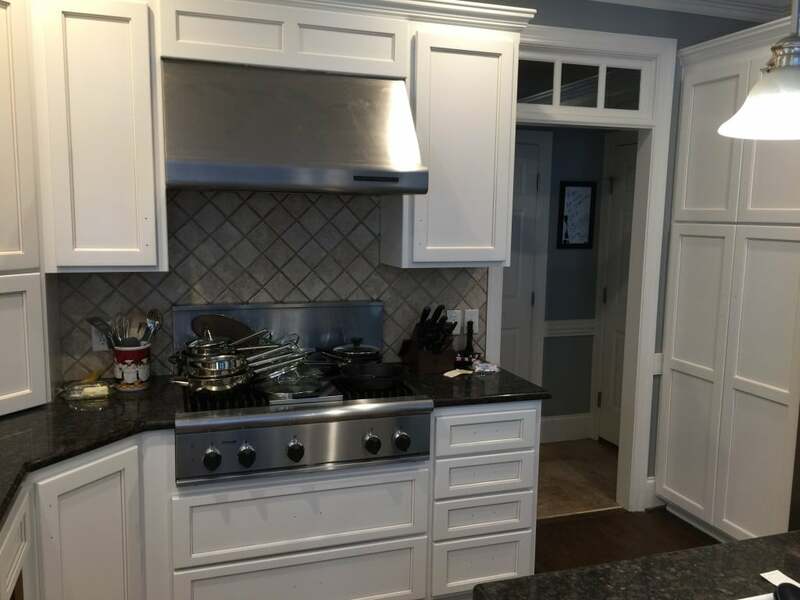 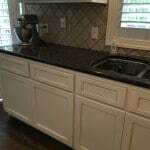 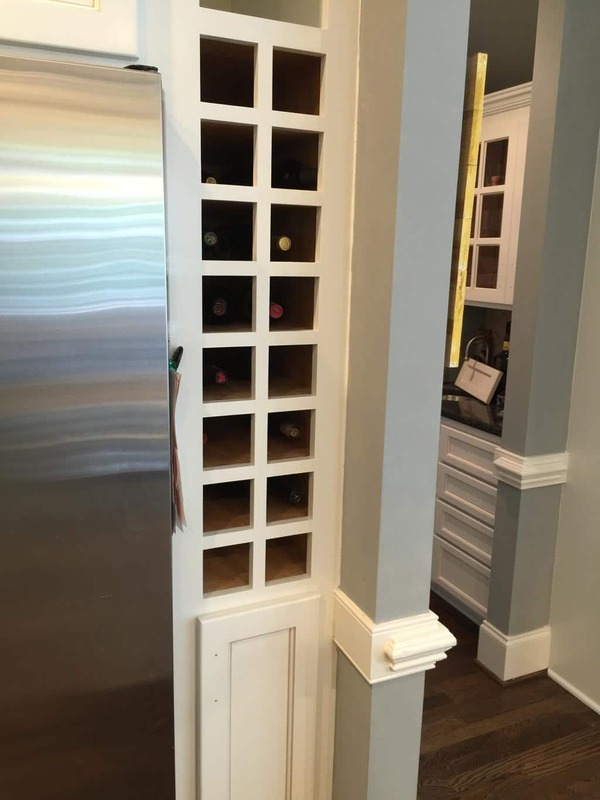 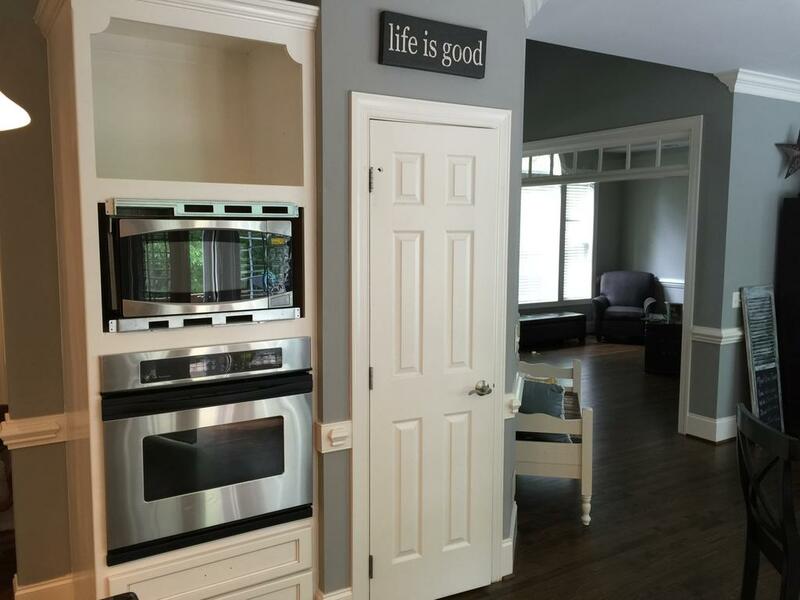 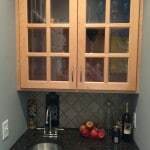 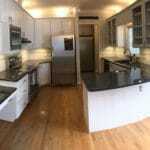 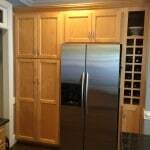 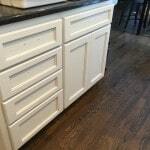 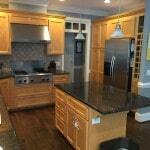 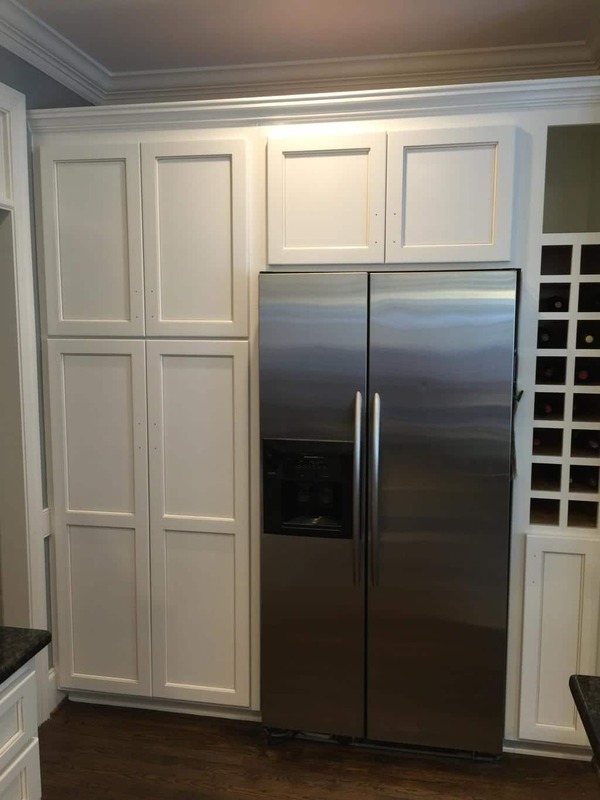 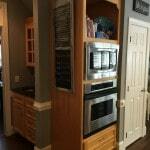 We took this kitchen from blah maple, to wow! 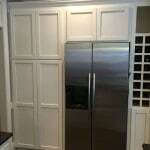 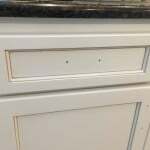 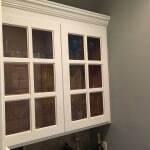 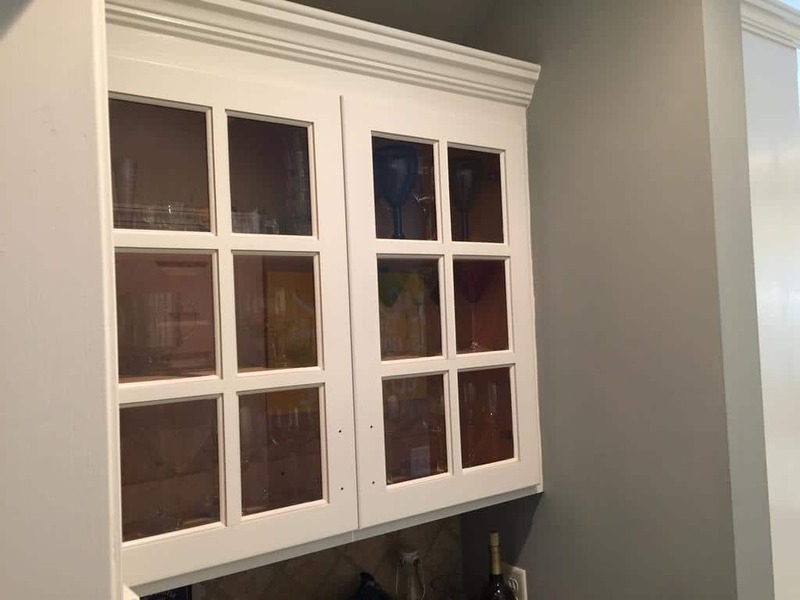 Just by adding some creamy Swiss Coffee paint and dressing it up with a little Sand Dune pinstripe glazing. 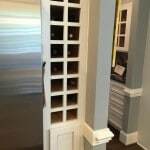 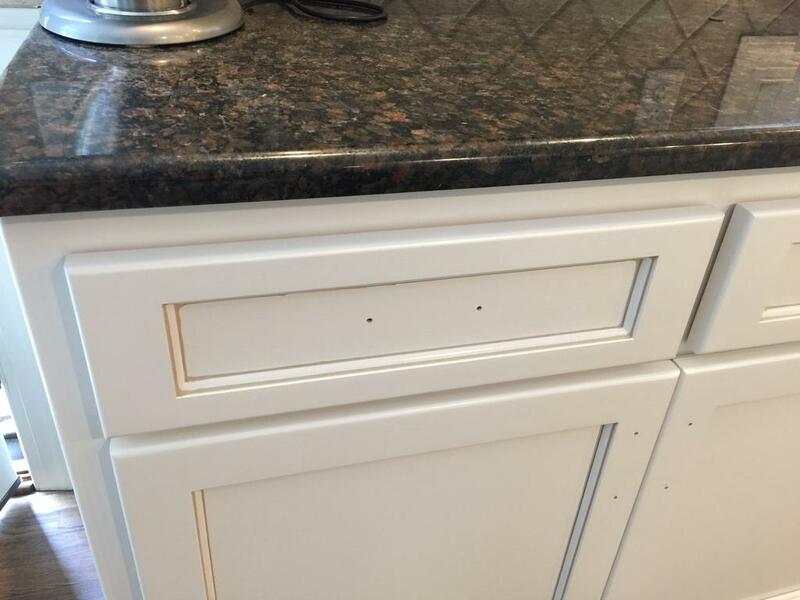 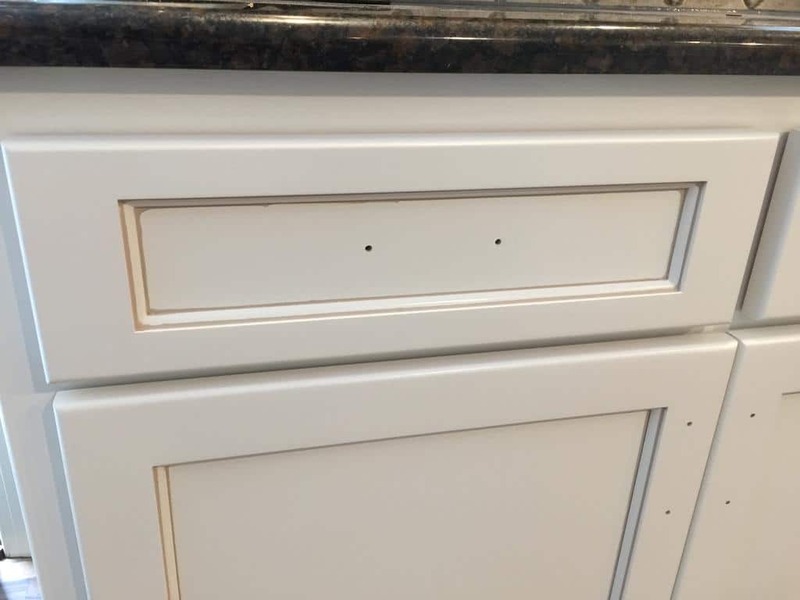 The homeowner will be adding some new oil rubbed bronze pulls, but sadly we weren’t there to see those installed!